Venice was hit by a series of devastating storms this week, causing three-quarters of the city to be submerged in water. Officials suspect that the city could have been protected by a massive flood barrier, which is not yet complete. The $6.5 billion infrastructure project has been pummeled by criticism and political scandal, including the arrest of a former mayor in 2014. Italy was overtaken this week by a series of storms that toppled trees, flooded streets, and resulted in at least 11 deaths. In the „floating city“ of Venice, famous tourist attractions like St. Mark’s Basilica and the Piazza San Marco were partially submerged in water, with the city’s tourism hotspots being evacuated. 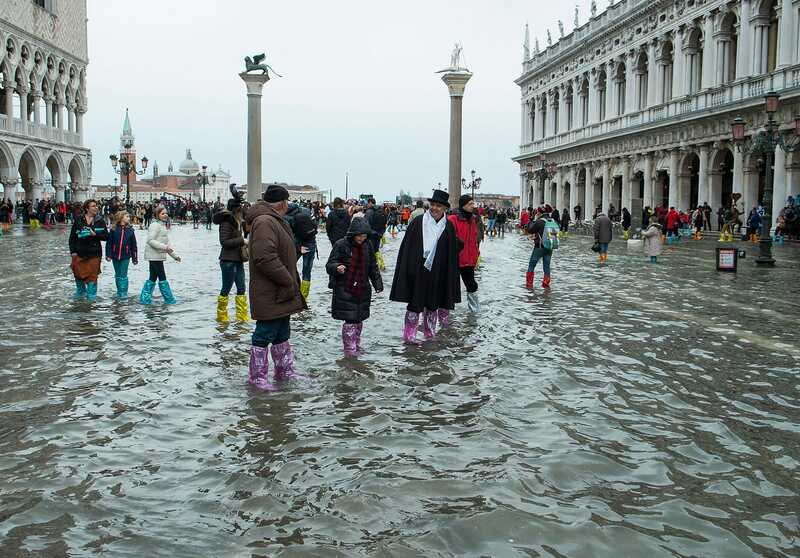 Though the flooding is the worst the city has seen in a decade, it isn’t entirely unexpected: Autumn to spring marks flooding season in Venice, or „acqua alta“ — a period of exceptionally high tides in the Adriatic Sea. In 2003, Italy began building a massive flood barrier designed to isolate the Venetian Lagoon, the enclosed bay where Venice is located. The project, known as Mose, is one of the largest civil engineering endeavors in the world. The design consists of 78 mobile gates stationed at three different inlets. When the tide reaches 43 inches (which happens around four times a year), the gates will rise above the water’s surface and protect the lagoon from flooding. When the tide dips, the gates fill with water and lower back in place. The total barrier spans one mile and weighs around 300 tons. Though many see it as necessary to the city’s immediate safety, the project has been shrouded in controversy and criticism. 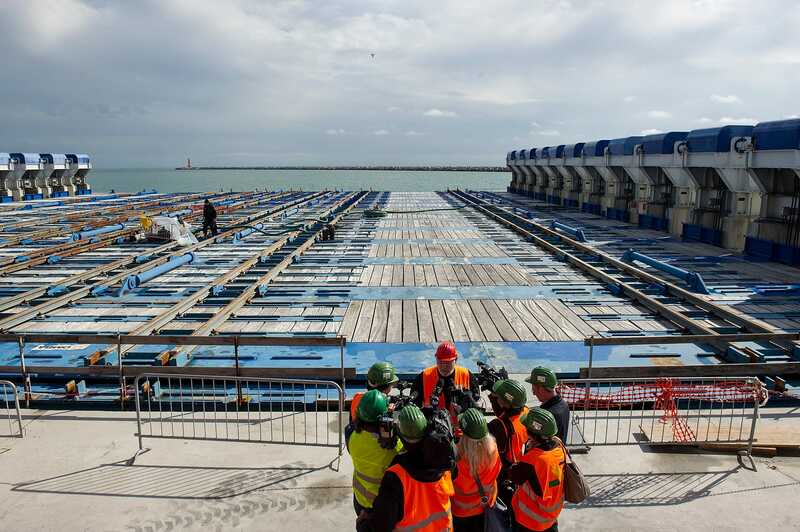 While citizens have long worried about the high cost of construction, which recently climbed to around $6.3 billion, the municipality of Venice has questioned the barrier’s stability in the face of rising sea levels. Both environmental groups and the EU Commission have also expressed concern that construction would pollute the local habitat. The biggest obstacle arrived in 2014, when then Mayor Giorgio Orsoni was arrested alongside 35 other people on corruption charges related to the project. Orsoni was accused of accepting bribes in exchange for awarding contracts, but he was absolved three years later. Now, Mose is being held up in its final leg of construction. The flood gates were originally set to open around 2011, but some officials don’t expect them to be ready until 2022. As the project continues to stall, many have warned that mold and marine life are eroding the underwater structure. Earlier this week, Mayor Luigi Brugnaro said the destruction in Venice could have been prevented if Mose had been completed on time.